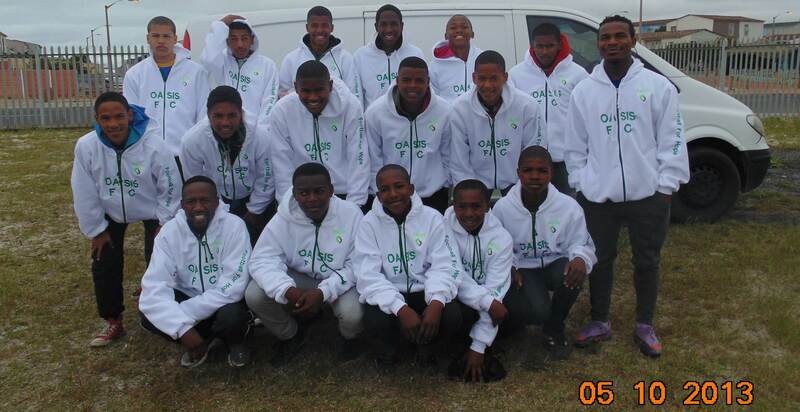 Oasis as an NGO is the official organisation responsible for a variety of programmes using sport as a medium for social change. SAHSS = South African Homeless Street Soccer- Mission = to take part in the Annual Homeless World Cup of Street Soccer and creating opportunities for youth living on the streets / youth living in informal settlements and or youth in a process of rehabilitation. Youth in these categories go through community games as well as competitions whereby HWC trials are then called for those who fit the criteria. Selected youth will then go into training Camps that incorporate intense physical training/preparations as well as intense lifeskills and preparations for personal growth. 20/20 Community Street Soccer = We aim to see that by the year 2020; around 20 communities would actively engage in playing streetsoccer and many youth will learn lessons through the game. Oasis FC : Through the football club we are able to groom players from being children in the club, to young men fully informed to make positive choices. The club is a very competitive structure with a holistic approach to youth and community development. We have junior divisions and senior teams competing in the Cape Town association under South African Football Association (SAFA). It is the dream of Oasis to one day gain promotion / purchase a Franchise club .The AIM of this is to ensure the youth continue with the ethos of Oasis as they start playing semi-pro football. South African Homeless Street Soccer (SAHSS) uses football to get children and young people who live on the streets involved in positive activities that will help improve their lives. Young people from local networks in the Cape Town region meet on a weekly basis. Each team comes from a community organisation with a rich history of programmes assisting street people. In cooperation with these organisations, SAHSS uses football to foster healthy individual development, teach positive values and life skills, strengthen education, prevent disease— particularly HIV/AIDS—through education and provide health and well-being.